While the angry young man strived to save the world, this scrawny guy of dubious morals aided the appalling villain with his sharp gaze and indulged him with a quick response in addition to a keen smile. Macmohan with his trademark beard, lush mane and full-sleeved attire played this man in more than a hundred films like only he could. Despite the brevity of his roles, Macmohan made quite an impression, almost turning him into a pop culture icon of sorts. The actor passed away on Monday after a long battle with cancer. He was 71. 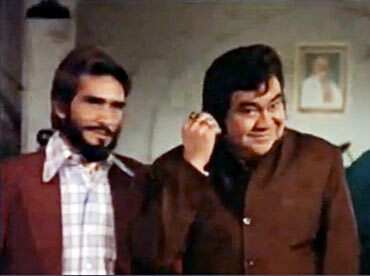 Here are five of my best memories of one of Hindi cinema's beloved character actors. 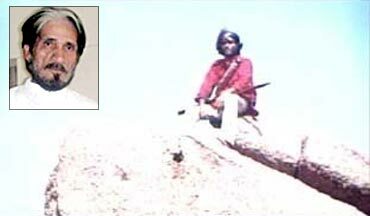 Rest in peace, Sambha. Everyone had a line in Sholay. This was his. Pat comes the reply, 'Poore pachaas hazaar.' It's a rather matter-of-factly delivered reaction but audiences, to date, haven't gotten over it. And in all probability, never will. Quite early in Subhash Ghai's reincarnation drama, Macmohan makes a spiffy entry to portray the mute bad guy -- Sir Juda's (played by Premnath) interpreter. In Bollywood-style Braille, Juda taps his fingers against a glass and miraculously enough Mac knows exactly what that means. The seventies was an exceptionally fashionable decade. And in my opinion, Don is one of the most stylish films of all times. 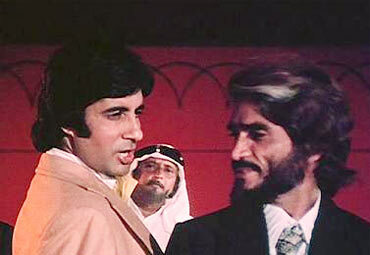 Everyone from Amitabh Bachchan to Macmohan, as one of the crooked companions in Don's troupe are dressed to the T.
If Big B got to spew memorable dialogues, Mac played the ultra trendy sidekick in tweed blazers and pointed collars. What's a villain without his team of dapper henchmen? 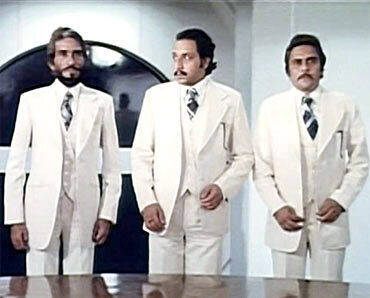 Macmohan plays one of the guys in cream-coloured three-piece suits catering to Shaakal's (Kulbushan Kharbanda) every whim and fancy in Ramesh Sippy's action extravaganza. Interestingly his colleagues-in-white included the like so Dalip Tahil and Sudhir Pandey who went on to play chief antagonists in subsequent films. This is the last time I saw Mac Mohan on the big screen. In Zoya Akhtar's masterfully layered study of cinema, there's a moment when Sholay's unforgettable Sambha is invited to preside over an acting school function. As always is the case, he is asked to render his career-best line 'Poore pachaas hazaa,'. Unlike Atithi Tum Kab Jaoge, which featured a similar scene with Sholay's Kaalia (Viju Khote) to hilarious effect, here the impact is decidedly unfeigned. It's a spectacular touch that is both beautiful and heartbreaking. Konkona fights for George Bush!